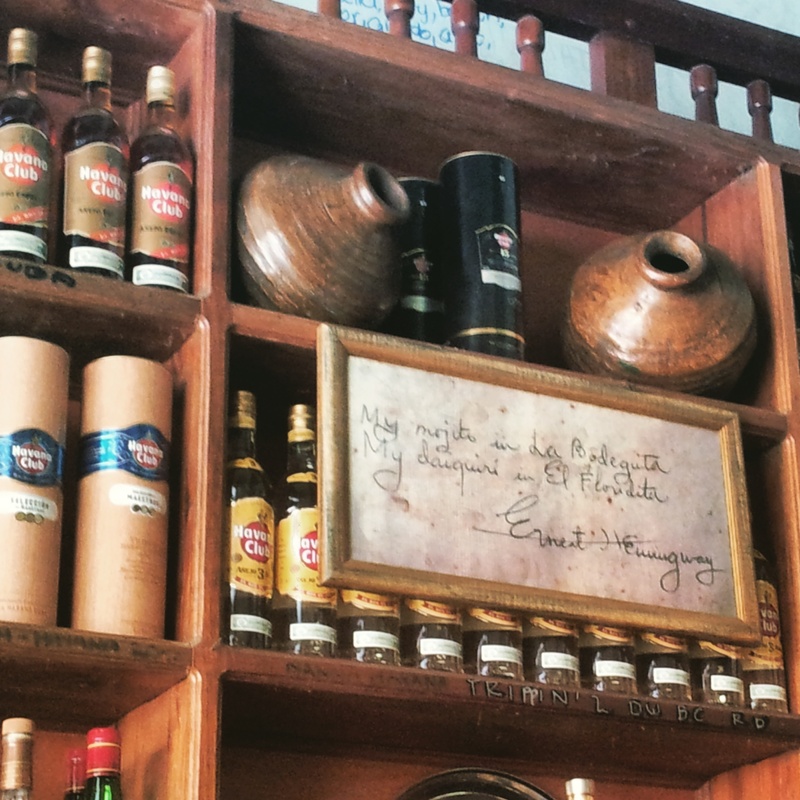 A Foodie in Cuba – A Mini Guide to Havana’s Best Restaurants & Bars – Why Waste Annual Leave? Today, when I say 3Ts, I refer to Trip Advisor, Travel Blogs and Twitter, three forces that have been instrumental in helping me arrange my recent travel adventures, particularly blogs (not that I’m biased!) Having booked Cuba right at the last minute, planning neurotically was too arduous a strategy so instead, I glimpsed at a few websites and put out a few tweets and these were the bars and restaurants that kept recurring as some of the best in Havana, all of which can be sampled in a three night stay. 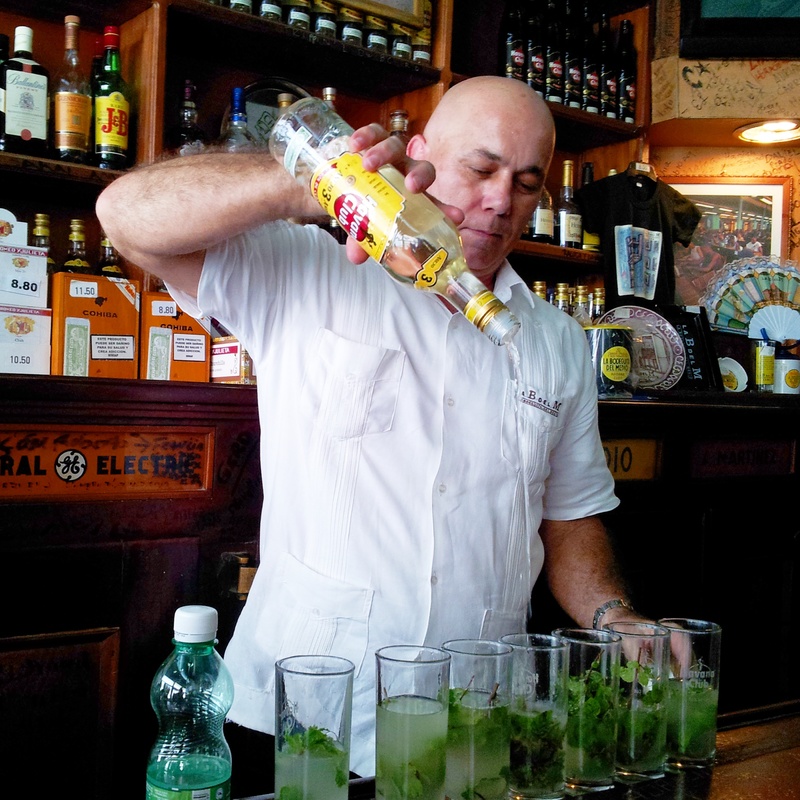 In the heart of the old town, this bar is unmissable to most tourists, having gathered itself a reputation for being Hemingway’s favourite spot for a Mojito and one of his most frequented establishments in Havana. Yes, there are almost as many tourists in here as there are Mojitos and if you go in the evening, you’ll have a better chance of winning the lottery than getting a seat but it is worth seeing despite all this to sample this piece of celebrity history and to see whether you agree with the renowned author’s tip off that this really is Havana’s best Mojito. A small informal place with rustic decor, you’ll spot the Mojito glasses already lined up with mint when you walk in. They know it’s what you’ll order. You know it too. 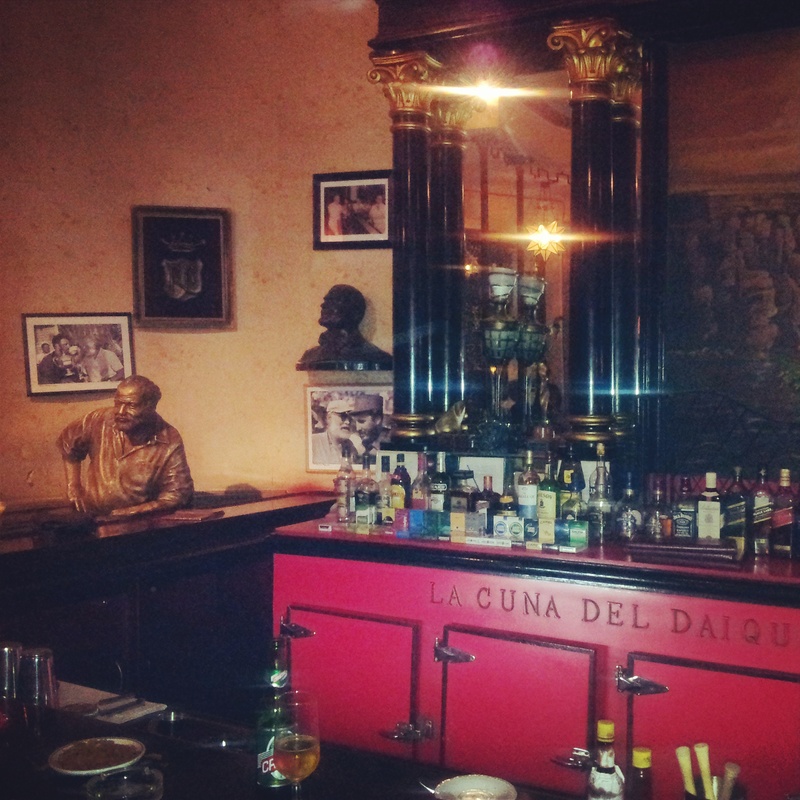 The walls are awash with Hemingway paraphernalia and unsurprisingly, expect to pay well above the odds for drinks here. For those wondering how I fared, the Virgin Mojito was light and refreshing with a pervasive mintiness. Tip – head here in the afternoon to avoid the crowds and bag yourself a seat. Once your palate tires of mint and rum, you’ll find this new Paladar just a short walk away and if you’re sensible, you’ll book ahead to secure a table. In fact, at the time of publishing this post, this restaurant is currently the number 1 rated Havana restaurant on Trip Advisor. 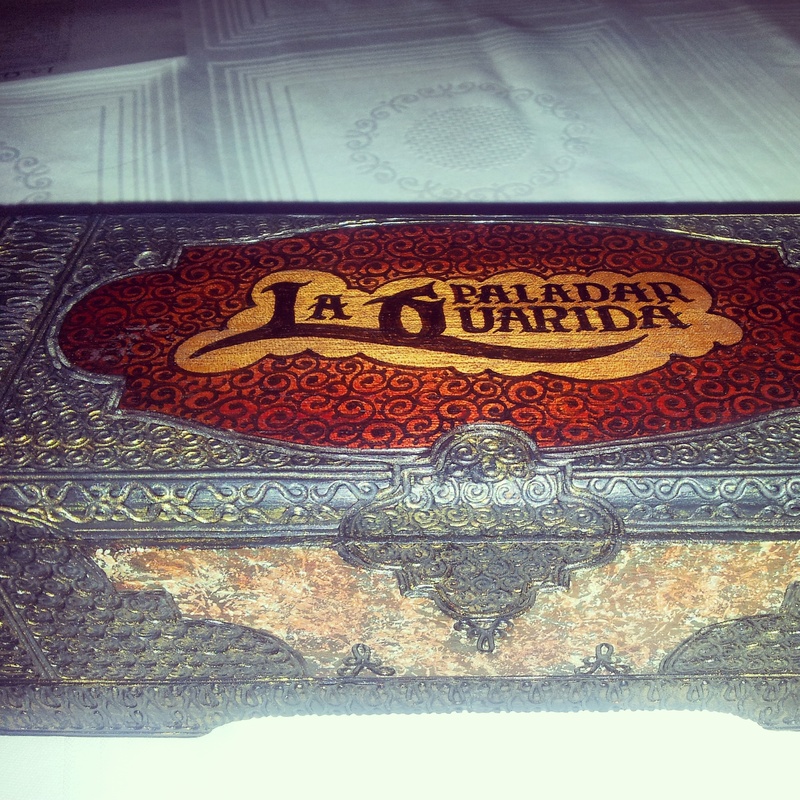 Paladars (privately run restaurants by the self-employed) are little hubbubs of character, local food and proud owners. And this one has all the ingredients for a successful venture – excellent value, generous portions of traditional Cuban food and an intimate, homely interior. We had grilled fish and chicken, both of which came with plantain chips, a side salad and a large portion of sweet, wholesome black beans with rice. 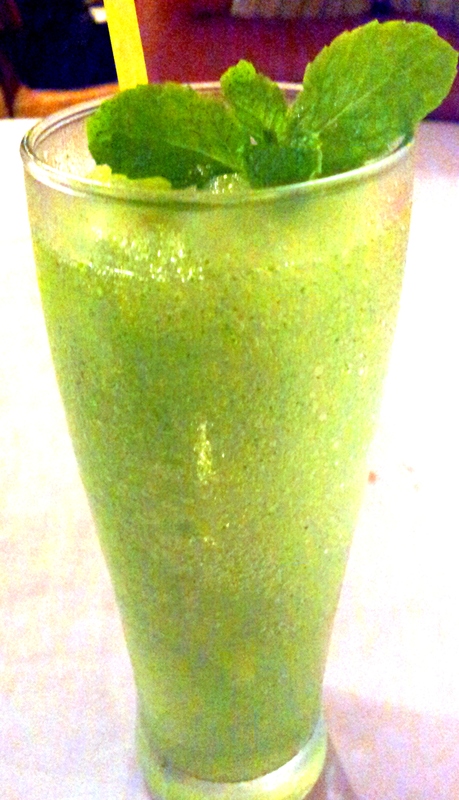 If you find the heat suffocating, the healing hands of the frozen Mojito will resuscitate you. A 10-15 minute walk away from the Old Town, this Paladar is clearly-signposted but to avoid missing it, you’ll need to have your wits about you, as it is on the 2nd floor of a derelict building so it may be easy to miss. With some fantastic fish on offer, we went for local specialties including the Mahi Mahi fish with orange sauce and dried Yucca and sweet potato sides. It has been at least a minute since we discussed cocktails and in Cuba, this is one rum-free minute too many. 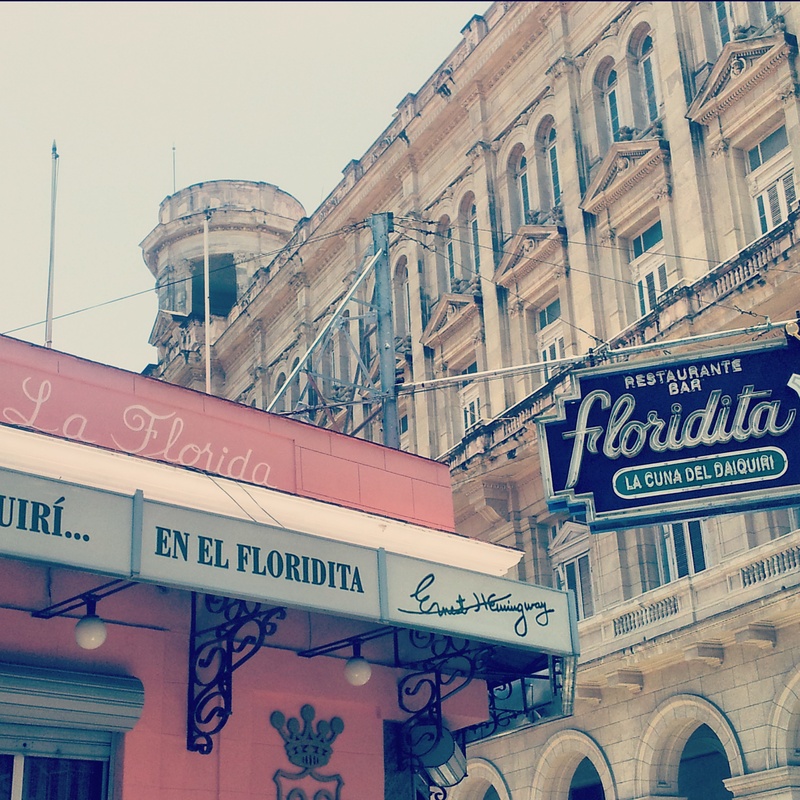 Hemingway indeed had a soft spot for his beloved La Bodeguita when it came to Mojitos but I was much more inclined towards his penchant for this bar, whose name literally translates to “Little Florida”, where he found his favourite Daiquiri. A dimly-lit, elegant cocktail bar shrouded in scarlet and staffed by waistcoated bar-tenders, this epitomises the sassy and seductive side of Cuba. Rumour has it a world record for the largest Daiquiri ever made took place here. You can also eat in the formal restaurant at the back. 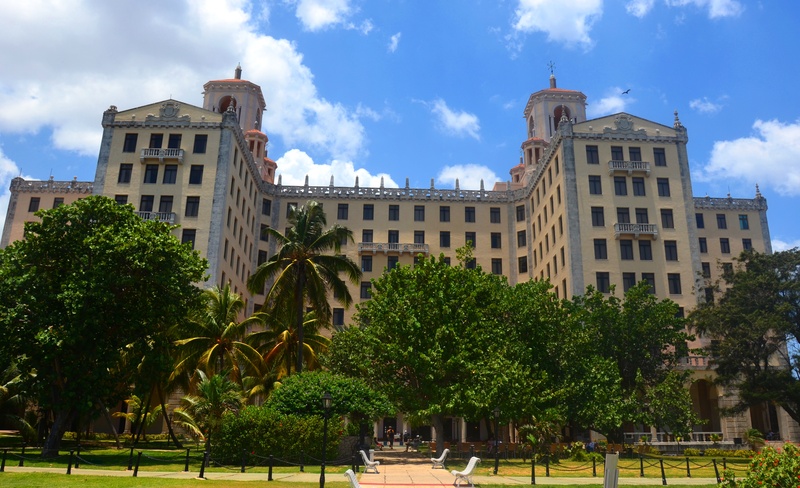 Anyone heading to Havana will invariably hear about this historic and opulent hotel, the city’s most famous and the scene of many a Mafia-meeting, Castro speeches and celebrity spots. We decided not to stay here, as it’s actually quite far away from most of Havana’s key attractions but it’s worth a visit to stroll around the glitzy, long lobby and to spot the photos of Castro with Robert Redford. End your visit with a walk through the lobby onto the ground floor gardens, where you can stop off for a drink or snack at the outdoor cafe with an ocean view. 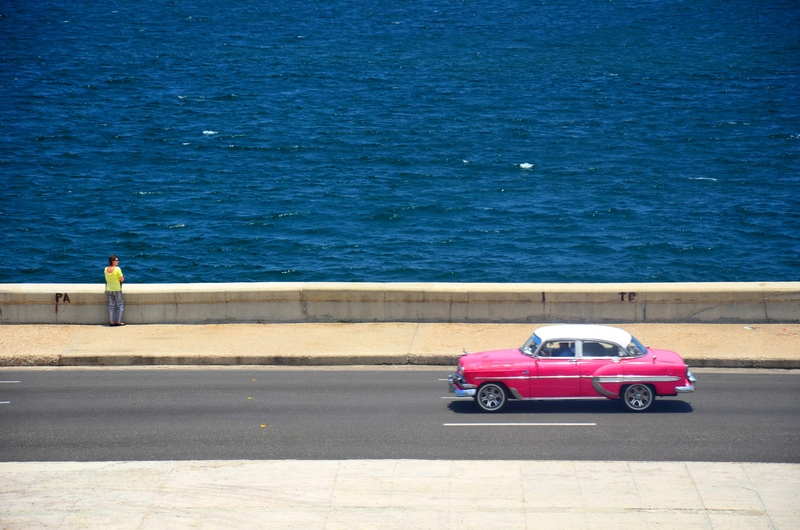 The backdrop of the seafront promenade, the Malecon, with colourful vintage cars swiftly crossing your vision could leave you sleepily gazing under the Cuban sun for hours. The lady in question was carrying a basket full of paper cones with these snacks in them. I wasn’t sure what they were but they looked like thin, fried crispy snacks with a dusting of icing sugar and after a morning of walking around, I was peckish enough to try them out. 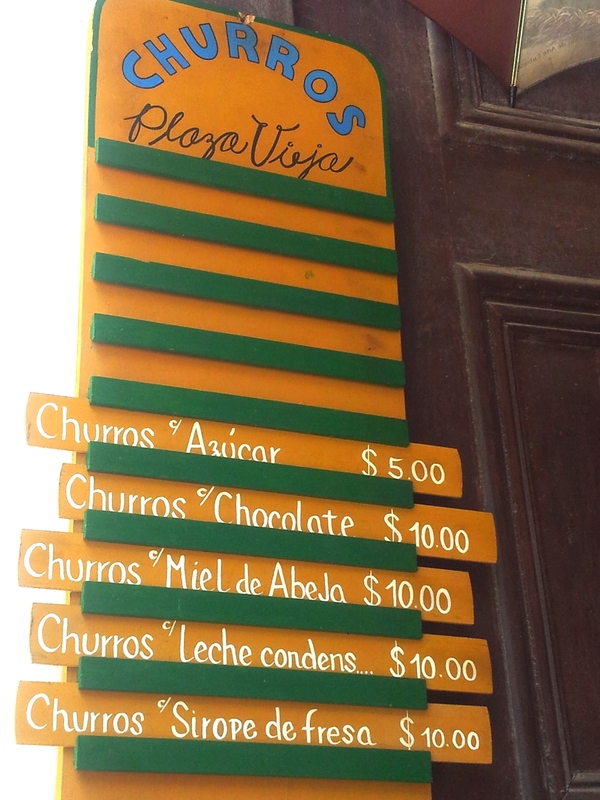 And although I’m not usually one to crave hot snacks in tropical climates, the temptation of these freshly-made Churros was too much to surpass whilst Pumpkin went for the more instinctive option in the midday sun by reaching straight for the street-side ice-cream served in a coconut shell. I must admit I was a little wary about his choice from a hygiene point of view as my street food consumptions are usually limited to hot, cooked dishes but either it was safe to eat or he has a gut of steel but either way, it didn’t seem to do him any harm. Have you ever visited Havana? What was your impression of the food? I’m the same age as you and I’ve never heard of 3T! The coconut ice cream sounds delicious! Haha Ok maybe they weren’t that big in NZ – look them up – they’re Michael Jackson’s nephews but don’t know what on earth happened to them! Some fab tips here! We had lunch in Bodeguita del Medio – good basic Cuban black beans and rice with chicken. In the Partagas Cigar factory shop is a great little bar – all leather armchairs and smelling of freshly made cigars – where you can sip a Havana Rum in authentic surroundings. That sounds wonderful Suzanne! The bar sounds so cosy and homely & I’ll try and remember that tip if I return! I’m happy to say that I have all of these places on my (extremely long) list of places to try in Havana! The cocktails just sound delicious – I’ll drink your alcoholic share while I’m there for you 😉 Couple of questions – how did you book the table at Dona Eutimia? And do you get a side of black beans and rice with everything you order out there?! 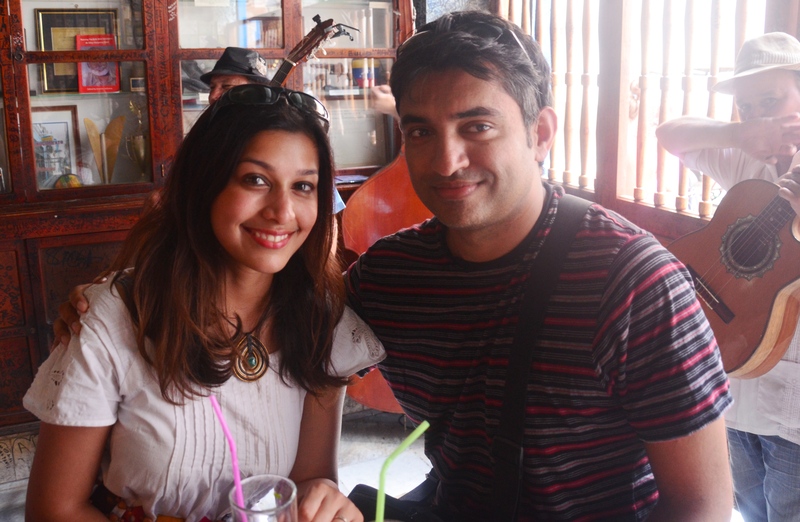 Great post Shikha, as always! Thank you for the kind words Upasna! Oh if you love daiquiri, you NEED to visit Cuba – it’s just everywhere & practically cheaper than water 😀 It was a fascinating country to visit – so different to anywhere else I’ve visited so I’d highly recommend it one day! Yummmm!! I love Cuban food (from the few Cuban restaurants I’ve eaten in in Los Angeles). I would love to sit in a cozy bar and sip on a cocktail. That bar/restaurant on top of a derelict old building sounds right up my alley!! 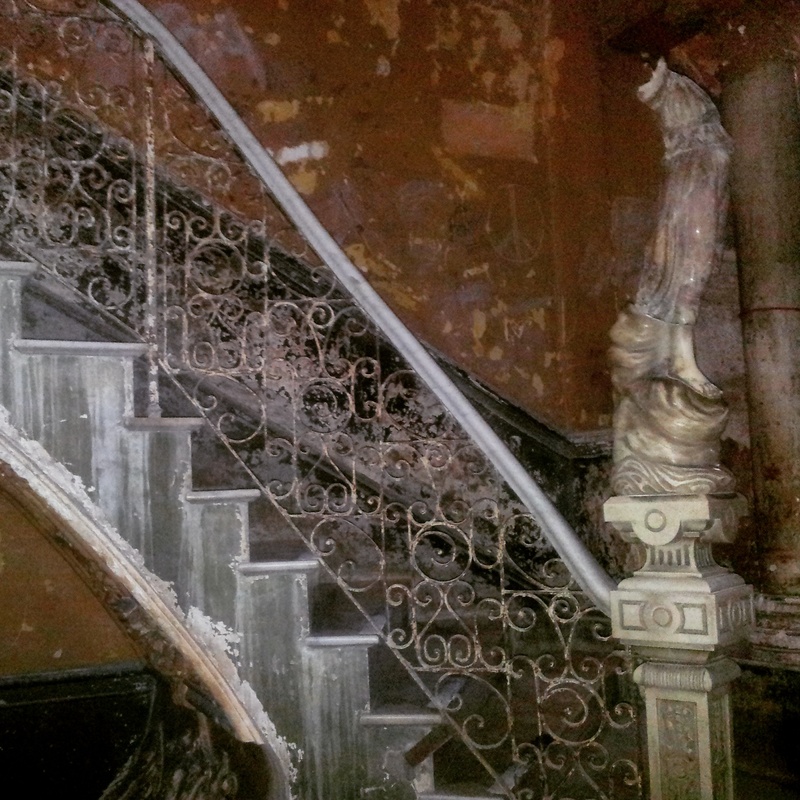 It was a great find Anna – we were so convinced we were on the wrong street and it was such a quirky contrast having this hidden gem of a Paladar hidden inside this derelict building! It’s funny, I had barely ever tried Cuban food till this trip but it was nicer than I was expecting & a lot of it seemed quite wholesome too! Oh my..these all look delicious and the drinks look so refreshing. I can certainly why these places were recommended. I love Cuban food. 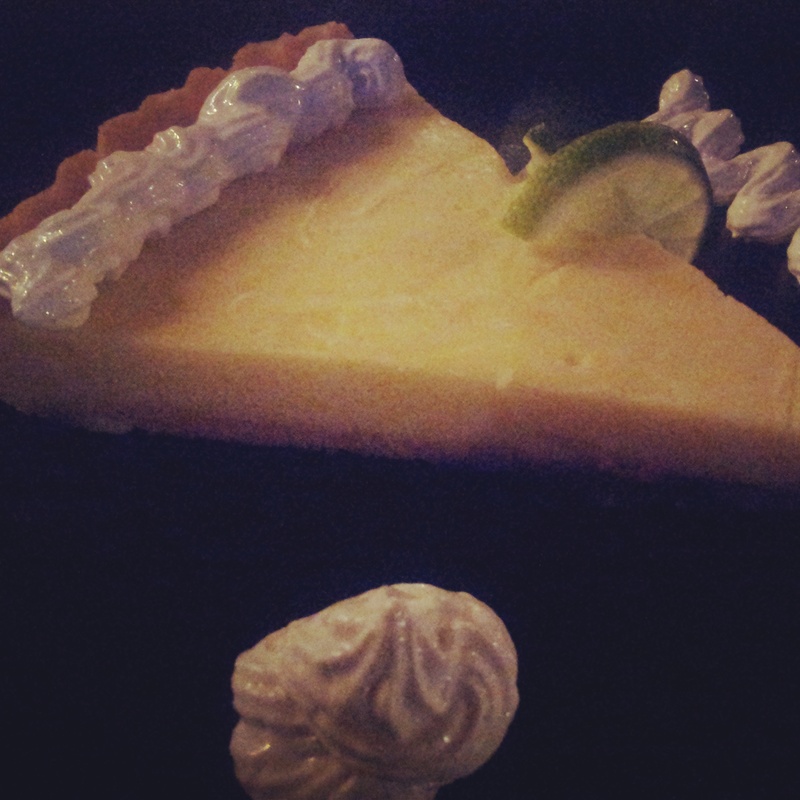 My favorite bakery in Los Angeles sells the most delicious Cuban desserts and pastries. 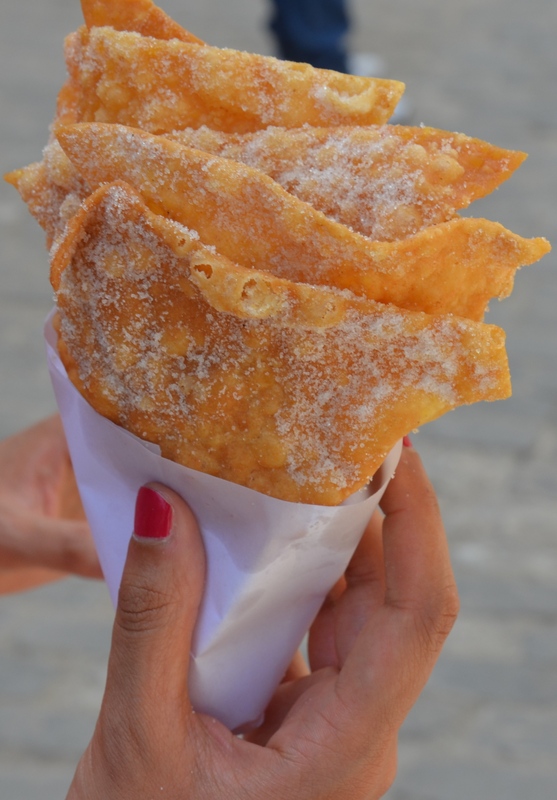 But, I’m sure eating it pales in comparison to being in Cuba eating the local food especially those churros. I love your version of 3T and so true of who I turn to for travel advice. 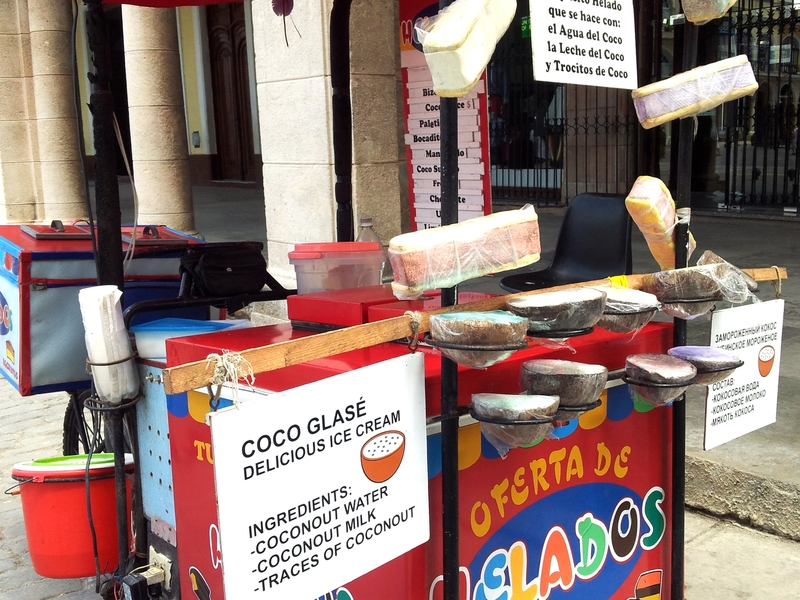 It sometimes gets a bad rep, the food in Cuba but some of this looks pretty tempting doesn’t it?! I’m guessing you like the sound of the Churros Char? Pingback: All-Inclusive Luxury at Royal Hicacos Resort and Spa, Varadero, Cuba | Why Waste Annual Leave? Pingback: A Vintage Car City Tour of Havana, Cuba | Why Waste Annual Leave? Pingback: The Captivating Colours of Havana, Cuba | Why Waste Annual Leave?